Quick Spray reduces friction and wear, assembly and disassembly will go easier. 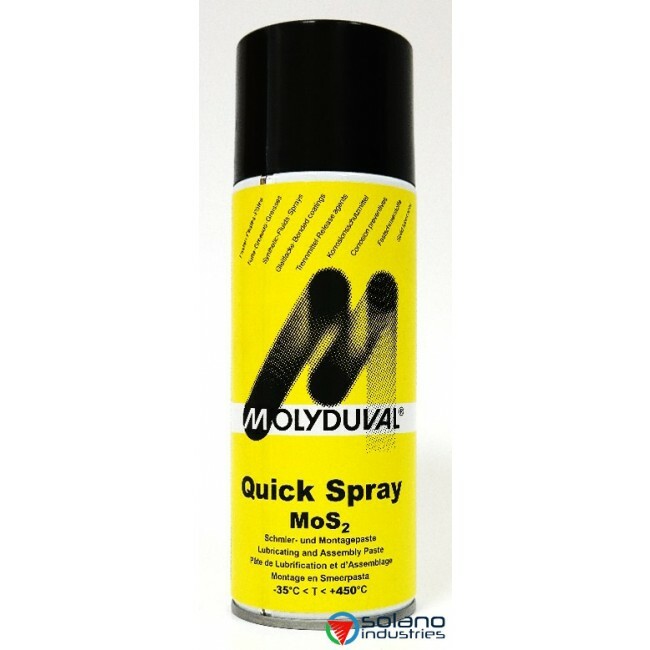 The solid lubricant MoS2 protects against wear, running-in defects and guarantees good antifrictional properties. Temperature range from -35º - +450ºC.